Canyon View Women's Health employs OBGYN physicians who practice both obstetrics and gynecology and certified nurse-midwives. Together, they bring decades of experience to the women in their care. Canyon View Women's Health is committed to providing each patient with an exceptional level of care and attention. Our dedicated staff works together as a team to provide high-quality, comprehensive care. Our compassionate and understanding physicians take pride in paying close attention to every patient’s obstetrics and/or gynecology needs. 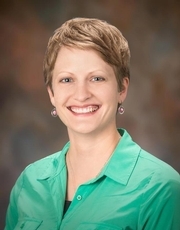 Elizabeth McCarrel, MD, graduated from the Medical School from the Medical College of Wisconsin in 2010. Dr. McCarrel completed her residency at the University of California in San Diego in 2014. Professional memberships include: American Congress of Obstetrics and Gynecology and Alpha Omega Alpha Medical Honor Society as well as the American Academy of Gynecologic Laparoscopists. Dr. McCarrel specializes in minimally invasive surgery and women’s health, including obstetrics. 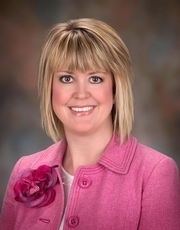 Dr. McCarrel enjoys spending time with her husband and two kids. She loves being outdoors, involved in sports, both as a participant and spectator. You might catch her reading fictional books, and surfing Facebook, Pinterest, and Netflix. 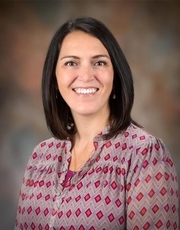 Kara Danner, MD, graduated from medical school at Vanderbilt University School of Medicine in 2002. 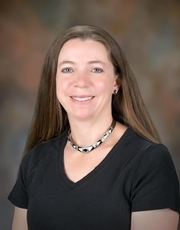 Dr. Danner completed her residency at the University of New Mexico Health Sciences Center in 2006. She is board certified by the American Board of Obstetrics and Gynecology. Her professional memberships include Fellow - American College of Obstetrics and Gynecology. She specializes in full spectrum obstetrics and gynecology. 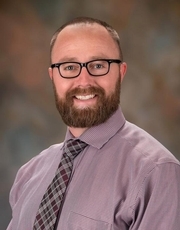 Eric Behrman, MD, is a Colorado native born in Salida and raised in Delta. His undergraduate studies were at Colorado Mesa University, at that time Mesa State College. He completed medical school at St. Louis University in 2011. He completed his OB/GYN residency at Wright State University Boonshoft School of Medicine in Dayton, Ohio in 2016. He is a member of the American College of Obstetricians and Gynecologists and the International Association of Pelvic Surgery. He specializes in the full spectrum of general obstetrics and gynecology. He most enjoys the rapport and relationships formed between himself and his patients. Dr. Behrman enjoys spending time with his wife and two kids. He's very excited to be back in Colorado, much of his family still lives in the area. His hobbies include hunting, fishing, carpentry and playing the piano. 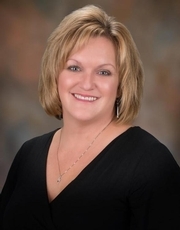 Tiffini Young, CNM received her BSN from Mesa State College and worked for many years as a labor and delivery nurse. In 2011, she received her MS in midwifery from the University of Colorado-Denver. Tiffini believes in the sacred process of normal, physiologic birth and caring for women throughout the life span. She loves the beautiful Colorado sunshine. Her hobbies include hiking, biking, skiing, swimming, camping and spending time with her family. Sarah became a registered nurse in 2004. She spent many years as a labor and delivery nurse prior to deciding that midwifery was her true calling. Sarah received her master's of science in midwifery from the University of Colorado-Denver in 2017. She believes in supporting women through pregnancy and birth with evidence based care, education and informed choices. She recognizes birth as normal and finds great joy in helping women and their families through the process. When she is not working Sarah enjoys spending time with her two children, reading and enjoying the beautiful Colorado outdoors. 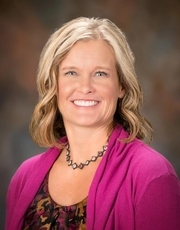 Analiesa Leonhardt, CNM, DNP, received a degree in nursing in 2012 from the University of Utah. In 2015 she earned a dual Doctor of Nursing Practice degree in Midwifery and Women's Health from the University of Utah. She completed her midwifery practicum on the Navajo Reservation in Arizona. Prior to returning to school to become a Nurse-Midwife, Analiesa worked as a doula for many years. Analiesa loves caring for women throughout the lifespan, and finds imense joy in empowering women through the transformative process of childbirth. She also has a bachelors degree in Botany from Brigham Young University in Utah, and is an avid gardener. In her spare time she and her husband enjoy exploring the great outdoors. They are preparing for their first baby to be born this spring. Analiesa is also fluent in Spanish. Sue received her BSN from Indiana University. After receiving her BSN, Sue spent the next 6 years on active duty as an officer in the United States Air Force. She then went on to pursue her certificate in Nurse-Midwifery from Frontier University; the oldest and largest continually operating nurse-midwifery education program in the United States. Her Masters in Nursing was earned from Case Western Reserve University. She has been practicing as a midwife since 1999. As the mother of three girls, Sue has a special place in her heart for pre-adolescent girls and helping them understand their changing bodies. She has a passion for education and making sure girls receive correct information during this confusing time. She also gets great satisfaction helping women of all ages make contraceptive choices that fit their needs and lifestyle. Sue and her husband Mike met and married while in the Air Force. They moved their family to Grand Junction many years ago after several years in Illinois and a two year adventure in Guam. They have three daughters, two son-in-law’s, a Shih-poo and a German Shepherd. Sue's current passion is CrossFit. She loves the way it has transformed how she thinks about her body and the feeling of getting stronger as she gets older. She also loves reading crime fiction novels and watching anything on HGTV or Food Network. Sue is thrilled to be part of Grand Valley Midwives. Sue Hanson is currently accepting new patients and would love to meet you.